Am I A Probate Heir? How are heirs in a probate estate determined? Here is the general rule that would apply for an intestate Estate (i.e. 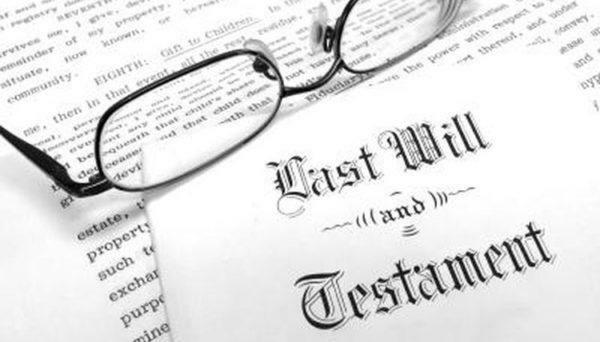 without a will) in many situations: If the Deceased has a living spouse and one child, then the Estate is split 50/50. If there is one spouse and two or more children, then the Estate is split: (1/3rd to spouse); and (2/3rds amongst the 2 or more children). If there is not a living spouse, the Deceased’s children would likely share the estate. If there is no living spouse or children (or children of a deceased child), then the Estate passes to the living parents of the Deceased. If there is not a living spouse or any living children or parents to the Deceased, then the deceased’s siblings, would be next in line. And so on. This is not meant as legal advice, but only general information. As always, we suggest consulting an attorney to analyze and evaluate your potential inheritance rights, which may be a very complicated task. In addition, it is always best to have a current Will, or in the case of a large estate, to establish a Trust. Do not leave these issues to the complicated default intestacy rules established by the State of California. It is always best to document your wishes in advance with the help of competent legal counsel.